Revolución de Cuba on Mapin ST, Sheffield. Nicely presented and straightforward snacks. The menu has various salads, burritos, tapas etc and a '3 small plates for £12' deal. Coffee and chips anyone? I loved how the fries were served in a cup! Nice. 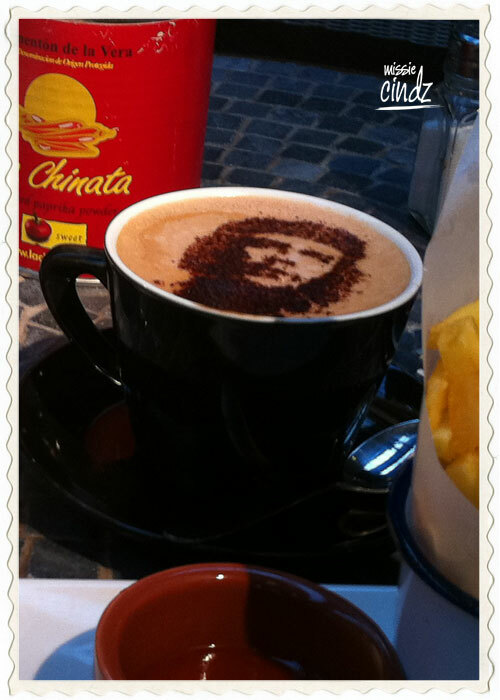 I really like how thay managed to get Che in my coffee. Slurp! Has anyone been here yet? 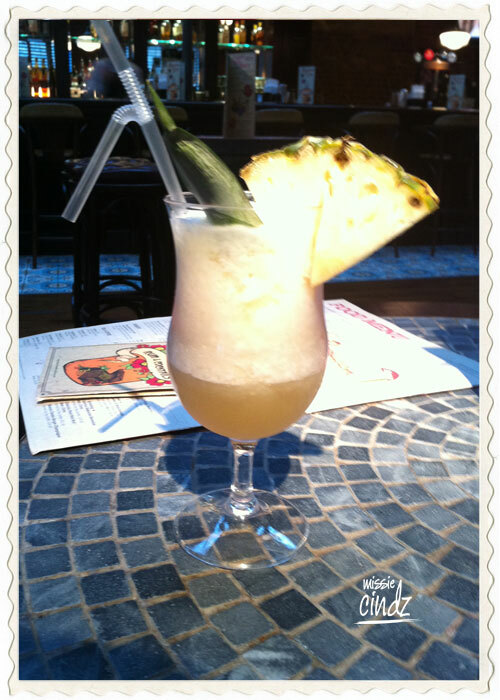 Revolucion de Cuba is based on Mappin Street in Sheffield and hasn’t been opened very long (since April). 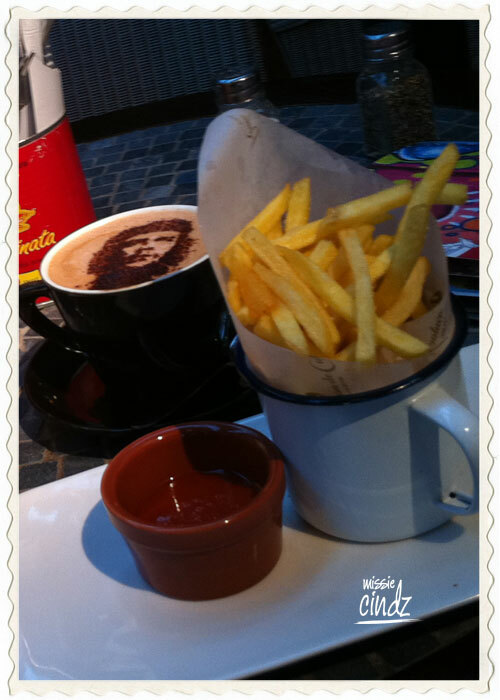 I had a nice coffee and enjoyed some hot snacks in Revoluction De Cuba this week. The place was highly recommended to me by a friend and I wanted to see why. One of the main things that caught my eye about this place is the fact that once inside, you feel like you’ve entered that cheesy ‘Dirty Dancing 2’ film – Havana Nights! especially with the salsa music playing in the background :) somewhere warm and tropical, as if you was on holiday. The high walls of the restaurant are covered in interesting large-sized prints enclosed in elegant looking frames. Whilst gandering at their huge drinks menu, I could see that they had a enormous range of rums from all over the world available (rum’s my fave spirit too – yum :). The place offers Cuban and Caribbean style food – which come with their own very special rum sauce which is made in-house to a secret recipe I’ve been told. We didn’t order a ‘proper’ meal to eat as we’d just had a few snacks somewhere else, plus the main reason for popping in was to enjoy a drink. I’ve also heard that they have a LIVE salsa band that’s sometimes on which helps makes customers nights out here even more special (the band wasn’t on when I went in and think they might be on just for weekends only?). But I was still in awwwe with the whole restaurant’s decor and the feel of the place was excellent. The waiter was extremely helpful, friendly and attentive – service with a smile too! Will definitely be going back for a ‘proper’ feeding of delicious food and cocktails!